I've decided to expand TMNT Entity! Instead of merely boasting reviews of the Teenage Mutant Ninja Turtle comic books, we'll now be covering the franchise's other media outlets, such as the movies, cartoons and occasional live action television series or special (god help us all). You can find these reviews (as well as other non-TMNT articles by me) over at Adventures in Poor Taste; a site I regularly contribute to. For the sake of convenience, however, I'll index them all here! The Real Ghostbusters - "Mean Green Teen Machine"
I still think the Metalhead episode had one ridiculous flaw. And one inconsistency with the other episodes. The flaw being that once there is a big blobby weak spot on top of the robot, controlling the robot, why not attack the weak spot? Or acknowledge it? The only real inconsistency is that the stick he complains about in this episode didn't work too badly in episodes before and after this. I love your reviews, but I'm surprised you have no reviews on the 2003 version. This doubly surprises me since you seem to speak of it fondly in other reviews. It was my version growing up, and it's a little sad how quickly it has been forgotten. Any chance of just one review for each season? As we speak, I've finished up my Next Mutation reviews and sent the last installment to my editor at AIPT. 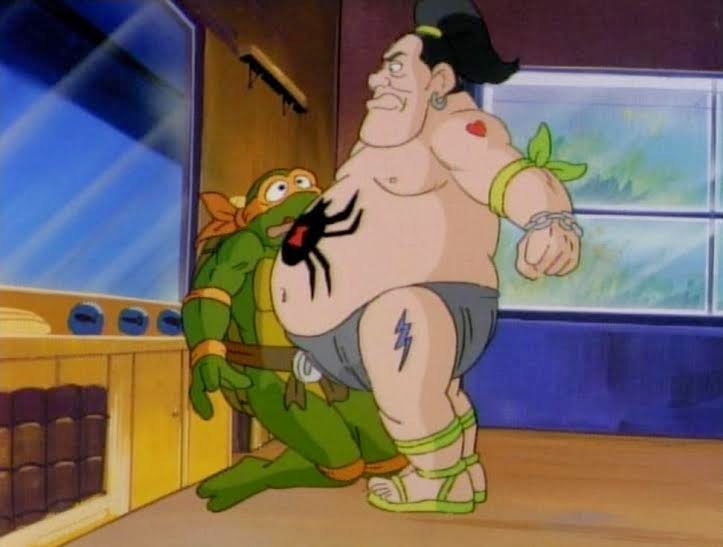 The 2003 TMNT cartoon is next! Looking forward to that one. Though I did jump ahead and review Turtles Forever (linked in the index). But after doing a few episodes of the Nickelodeon cartoon I decided I'd rather do each series in chronological order (which is why I put the Nick reviews on hiatus, for anyone who is wondering).